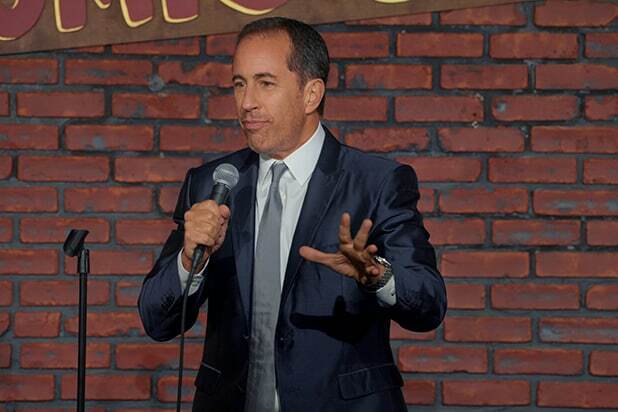 Jerry Seinfeld dusts off some of the best jokes from the early years of his career and presents them to a 2017 audience in his new Netflix stand-up special “Jerry Before Seinfeld,” resulting in a surprisingly introspective hour from the famously impersonal comedian. And that gesture toward self-reflection extended to a Q&A session Seinfeld did with Netflix’s Ted Sarandos following the special’s premiere screening in Los Angeles on Tuesday night. The special traces Seinfeld’s career from the initial decision to pursue comedy through his first-ever show at The Comic Strip and his eventual appearance on Johnny Carson’s “Tonight Show,” famous at the time for being a benchmark moment in a comic’s success. Interspersed throughout Seinfeld’s set are old home movies, archival footage of his early appearances and a surprisingly effective shot of Seinfeld sitting amid a sea of yellow legal pads, records of every joke he’s ever told. It’s those legal pads, a meticulously collected and preserved chronicle of Seinfeld’s life as a stand-up, which make up “Jerry Before Seinfeld.” Every joke told in the special came from his time as an up-and-coming New York comic, long before his breakout sitcom. “There was a lot of stuff that I didn’t feel right saying, or that audiences didn’t,” Seinfeld continued. But with years of material to choose from, he was able to put together an hour’s worth of jokes that could make an audience laugh in any era. He spent four months doing nightly sets, honing and perfecting the jokes before they were recorded for the special at The Comic Strip — the same club where he got his start. “The audience, they picked those jokes. That’s what they liked,” he said. And though Seinfeld staunchly avoids any material that might be interpreted as confessional in the special, hints of that same attitude came through in his talk with Sarandos. He confessed that he continues to perform live because he “doesn’t like people” and stand-up “minimizes” those interactions. He said he never performed at Los Angeles’ famed Comedy Store because he wasn’t “needy” enough to get along with owner Mitzi Shore. Most tellingly, he admitted it had been more than 30 years since he’d last performed at The Comic Strip because his relationship with its owners had soured. 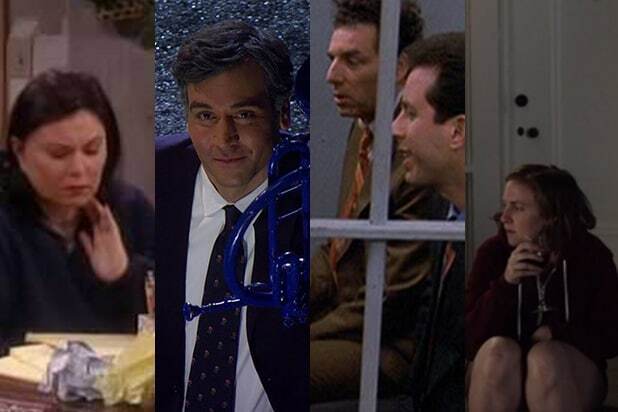 But Seinfeld, of course, would go on to become worth much more than that, thanks to years of dedication and hard work — years and years of filling those yellow legal pads with jokes. “This write every day thing is so ridiculous,” he said. “You’re a comedian and you’re going on every night for 20 minutes. That’s 23 hours and 40 minutes where you have nothing to do. And this is the thing that you need more than anything else, which is something to say when you get on stage. One of Seinfeld’s friends and fans in attendance at Tuesday’s premiere was Jay Leno, Carson’s successor at “The Tonight Show.” Leno had the first question when the Q&A was opened up to the audience, except Leno’s only desire was to praise Seinfeld and the “timeless” special he had just seen.